Old (left) and new (right). 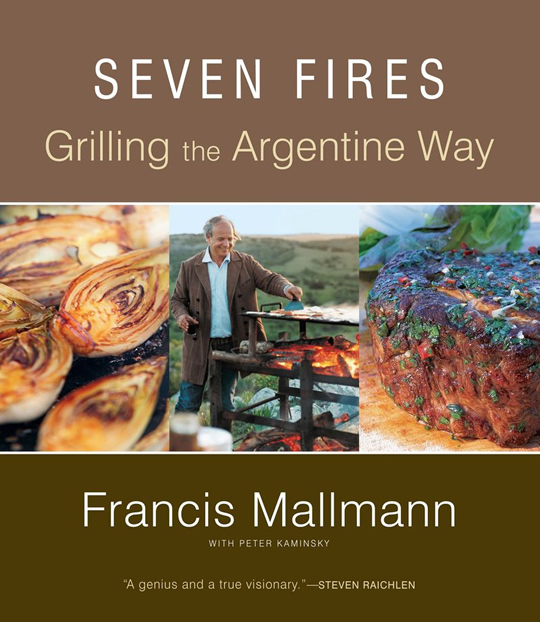 Francis Mallmann and Peter Kaminsky's Seven Fires (Amazon ) won the inaugural Piglet cookbook competition (whoops, spoiler, sorry), and at last night's party we noticed that the hardcover cookbook has graduated to a new cover. Brown gives way to white! 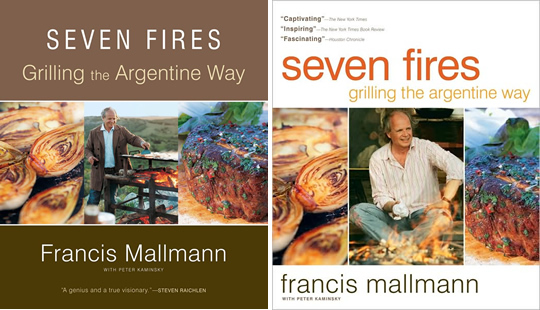 Mallmann standing gives way to Mallmann sitting! Center alignment gives way to left and right justification! A Raichlen blurb gives way to one-worders from major dailies! 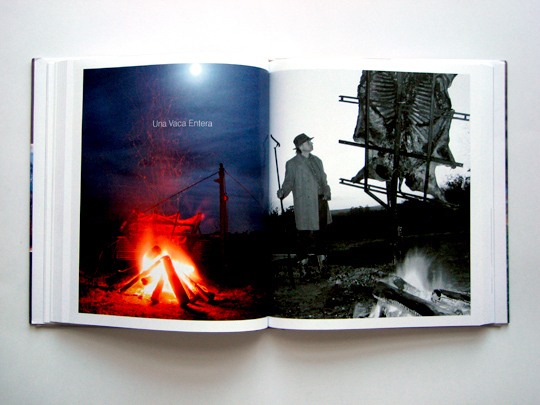 Last night Kaminsky told us that he was pulling for the photograph of Una Vaca Entera to land the cover — pretty as this new one is, we're pretty sure the silhouette of a whole cow being raised on stakes against a rising sun would have been significantly more showstopping. 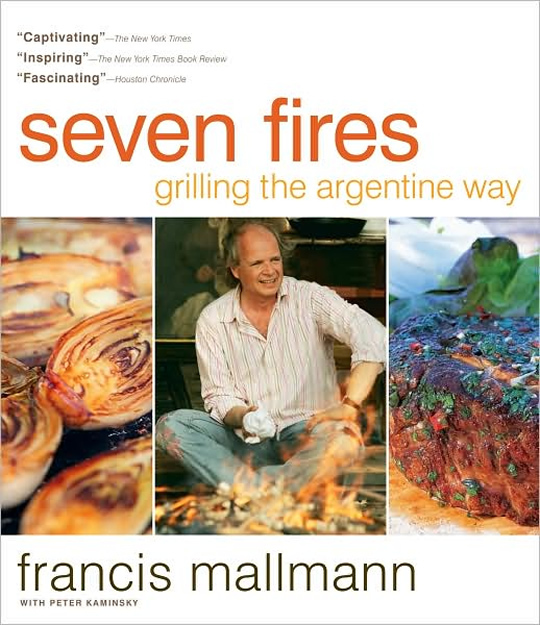 All lowercase on the new cover! This is fun. It's like a Highlights Spot The Difference page.